Defense Soap’s long range objective is to offer natural skin care products that wash away fungus, bacteria and viruses to the world based on antimicrobial essential oils that have been used for more than 10 thousand years. This month a game-changing agreement will be announced that will give the type of marketing momentum most companies can only dream of, an instantaneous entry into the fastest growing consumer market in Hong Kong, Macao and China—Natural products that promote the health of infants in Asia. This is reality and part of a larger overall strategic plan that is falling perfectly into place for Defense Soap LLC and Greenville Converting LTD. Hot on the heels of launching a global wholesale/reseller program, Defense Soap inked a distribution partnership with Greenville Converting LTD. It is exactly this type of forward growth Defense Soap was targeting when contacted by Greenville Converting LTD about extending their reach into the infant skincare markets in Asia. "We listened to what Greenville Converting LTD had to say and decided to pursue a brand extension with them that focused on minimizing skin infections among infants, even though it might not immediately have any rate of return,” explains Guy Sako, Defense Soap’s Chief Executive. Vincent Conti, Chief Marketing Officer uses analogies to get his point across, explaining that marketing soap products globally is like when, in the 1940’s, airlines began developing regional services to first establish brand integrity. That made the leap forward to national and international routes —as the brand’s value increases and demand grew— so much easier. 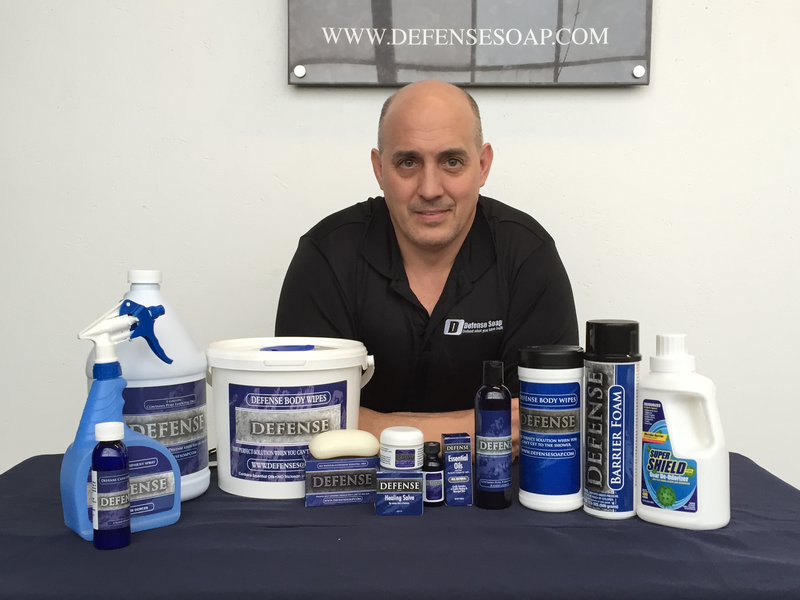 Defense Soap saw that the solution to becoming a global brand relied on two pillars of marketing faith, each contributing to its competitive advantage: quality superiority and customer appreciation. On the quality side, the company’s objective was and always will be to offer products based on such high quality that no competitor can possibly compete with. The second pillar is customer appreciation. The kind of explosive growth the company has achieved in the last 10 years is unheard of. The quality is there and the customers are happy. No mention of dissatisfaction, rare, if at all, talk of poor service, product returns are virtually non-existent. The structure of Defense Soap’s customer service department is unique among consumer products companies. Guy Sako says that the few competing products out there are structured more like a home business, providing the users simply a handmade bar soap, with few batches consistent from one to the next. It is the modern triple milling process, he says, and the pharmaceutical grade essential oils that contribute to consistency, and longevity of all our products. That is how convincing groups like Greenville Converting LTD that Defense Soap is the company to partner with in the Asian market. From a corporate point of view, this Asian distribution agreement, positions Defense Soap LLC to take fast advantage of a rapidly growing market. Product development requires significant outlays, but once the products, pricing and promotions are there, the rest is clockwork. With Greenville Converting LTD, experienced sales teams will represent the Defense Soap infant product lines in pre-determined markets, instantly giving Defense Soap reach in a market that would have been impossible to develop on its own. Vince Conti, is more tight lipped about corporate strategy, choosing his words with care. He does offer a few gold nuggets, however, including a peek at Defense Soap’s vision.